Artwork Panel: 32.6cm x 63.2cm ≈ 12¾" x 24¾"
Silk/Brocade: 42cm x 122cm ≈ 16½" x 48"
This particular calligraphy is done in a bold Xing-Kaishu (Running-Regular Script) style. It's written on Buddha-Orange xuan paper, with a subtle etched-gold background pattern. 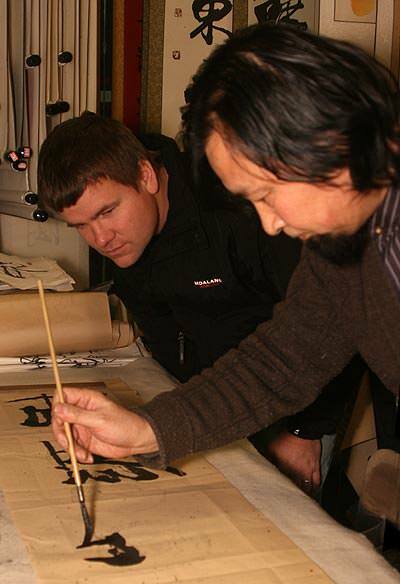 This orange color is used almost exclusively for Buddhist-related Japanese and Chinese calligraphy. 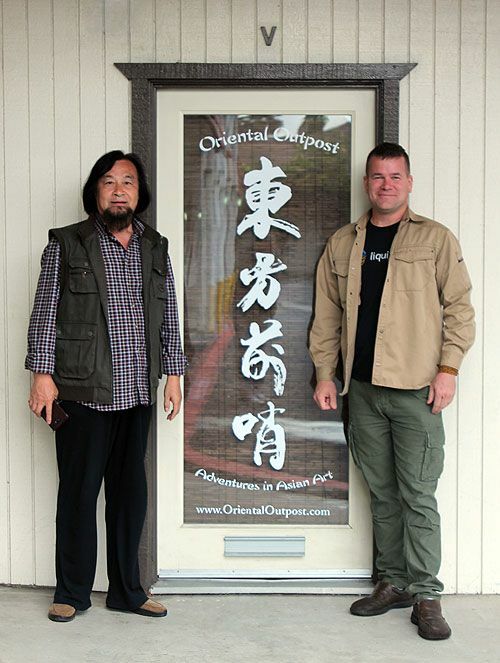 In Mandarin Chinese, this is romanized as "fo". The pronunciation is hard to duplicate in English, but it's somewhat between "foe" and "fo-ah". 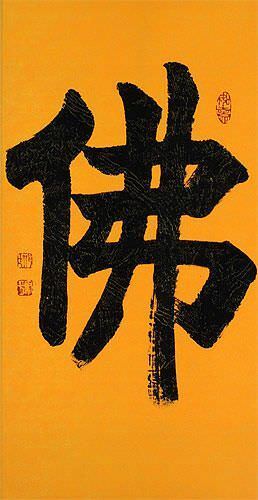 While this is considered the standard Chinese character and old Korean Hanja form of Buddha, it's also seen in Japanese - especially in religious context. In Japanese, this is Romanized and pronounced "Hotoke" (Hoe Toe Kay) in Japanese. 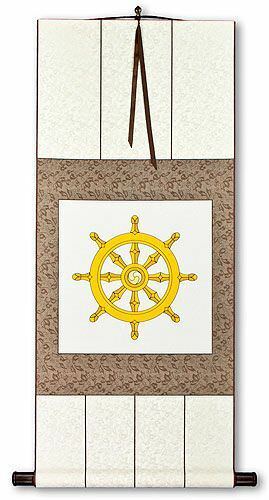 Want a Buddhism wall scroll completely customized to your desires? 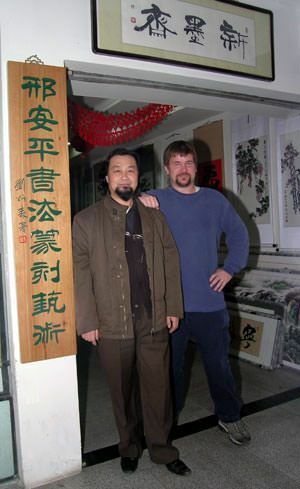 Link: Options for custom Buddha and Buddhism Chinese / Japanese Kanji / Korean Hanja calligraphy are available here! 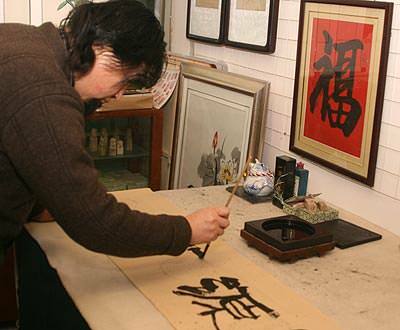 This piece was done by Master Calligrapher Xing An-Ping of Beijing, China.